Coole Abbey is a really interesting site, located about 4-5 miles outside of the scenic town of Castlelyons in Co Cork. 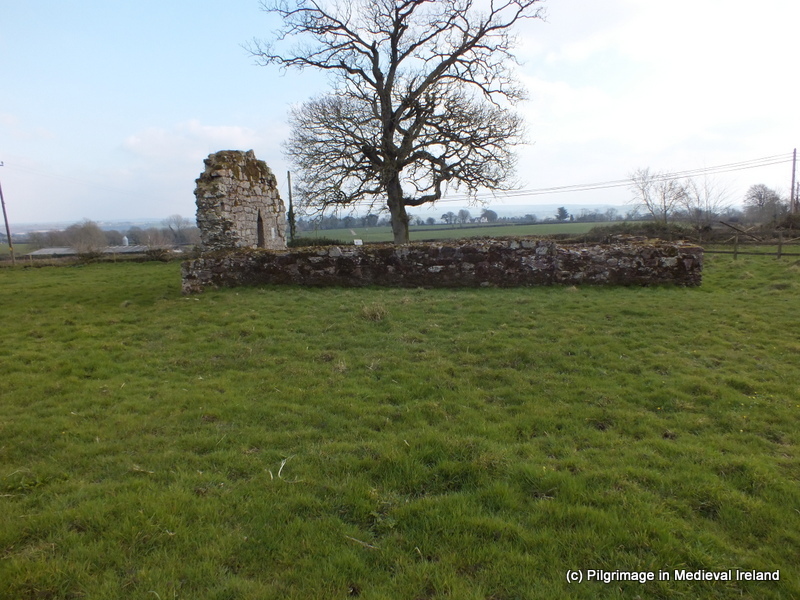 The site of an early medieval monastery, founded by St Abban in the 6th century, today all that remains of the early monastery are two churches and a holy well. 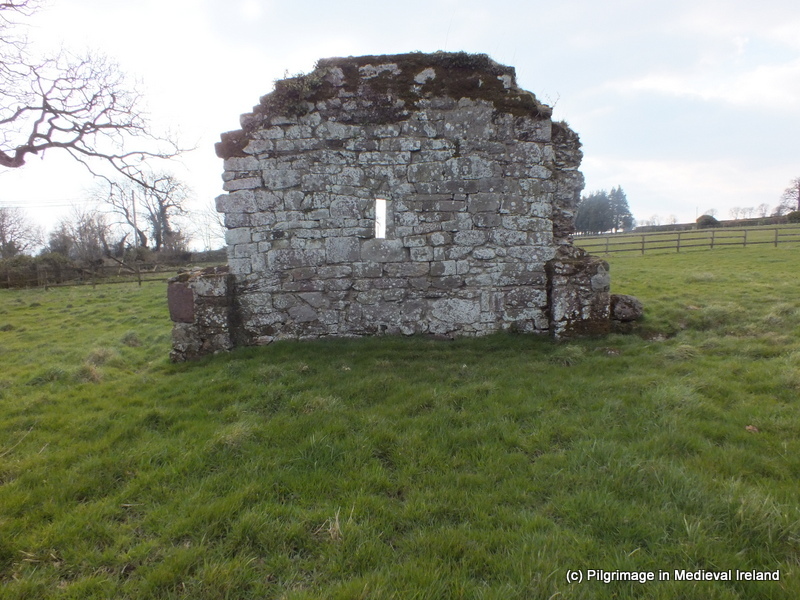 Of the surviving churches the smaller of the two sits in a field beside the road from Conna to Castlelyons. The larger church is located c. 200m to the northeast in an historic graveyard. Cúil is the Irish for Coole and it translates as corner or nook. Early medieval documents refer to the abbey as Cúil Chollaigne. Coole is associated with two saints Abban (Abán) and Dalbach. St Abban was born into the Uí Chormaic (Dál gCormaic ) dynasty in Leinster. He is associated with the churches of Mag Arnaide (‘Moyarney’/Adamstown, near New Ross, Co. Wexford) and Cell Abbáin (Killabban, Co. Laois) . 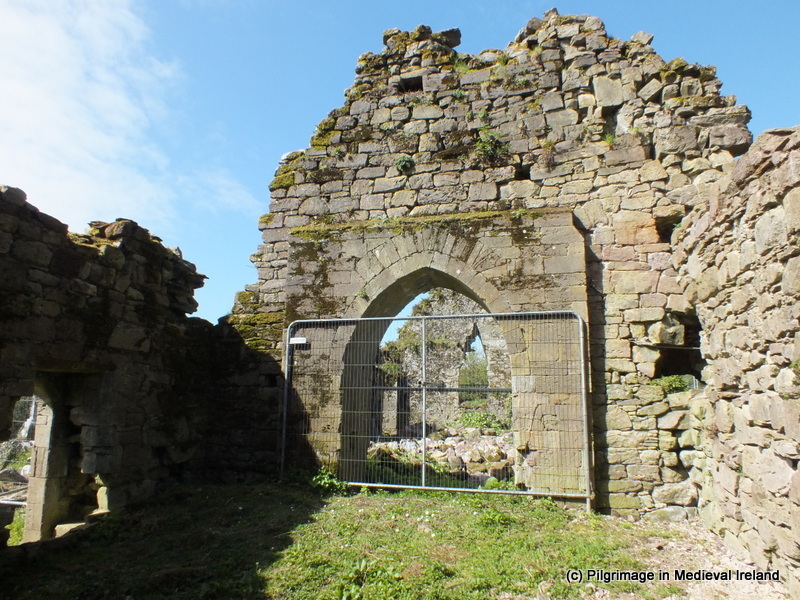 In Munster he established a monastery at Ballyvourney, Co Cork which he later surrendered to St Gobnait. He is also associated with Killagh Abbey near Milltown Co Kerry and Kilcrumper near Fermoy and he founded the church at Coole (Cúil Chollaigne). Abban has two feast days the 16th of March and the 27th October (O’Riain 2012, 51-52; 254). The second saint association with Coole is St Dalbach. Dalbach and the church at Coole were associated with the anchorite movement known as the ‘Céili Dé’ (clients of God) who flourished in Ireland between 750-850. The saints pedigree links him to a Cork based tribe known as the Uí Liatháin. The saints obit was entered in the annals for the year 800 and his feast was assigned to the 23rd October ( O’ Riain 2012 ,254). Cork, Imleach Iubhair (Emly), Lismore, and Cúil Chollainge (Coole) were burned in the same year. 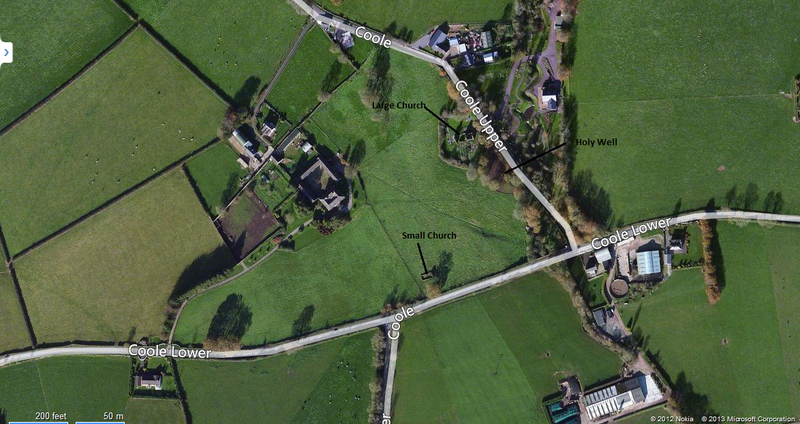 The Cork Archaeological Survey mentions the presence of a low curving earthen bank that can be picked out c. 70m north of the smaller church. The bank curves northwest – eastnorthwest in the field and it may represent evidence of an early ecclesiastical enclosure. The two surviving churches date to the 12th & 13th centuries. The smaller church is built of sandstone and most of the fabric dates to the 12th century. It is rectangular in shape, with only the east gable surviving to any great height. A modern style has been inserted into the west gable. The church has some pre-Romanesque feature such as antae which project from the east ends of the north and south wall. It is thought antae which are corner projections found on some early stone churches were attempts to imitate wooden churches which had stout corner posts jutting out beyond the gable-wall. Another early feature is a gable headed (triangular headed) east window with exterior rebate which is found in the east gable. 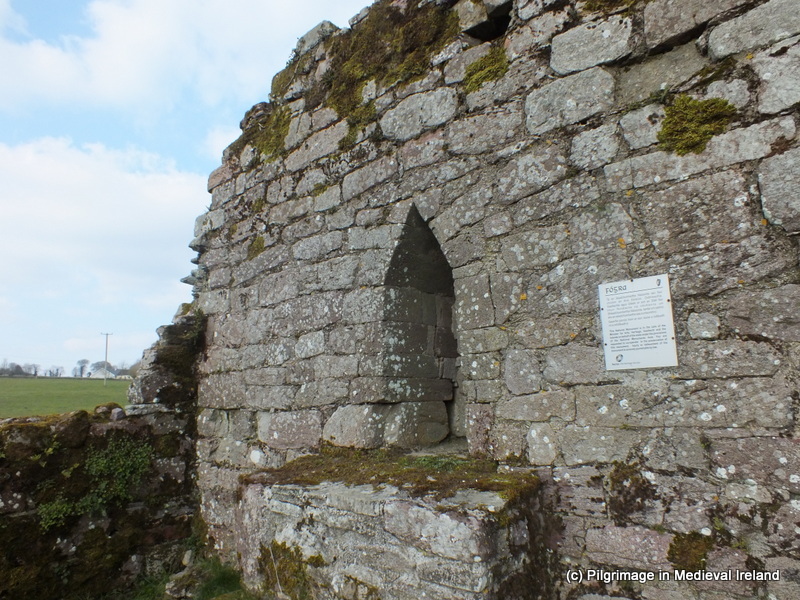 Archaeologist Tomás Ó Carragáin (2010, 102-103) suggests the gable headed window dates to the 11th century. Within the church there is a stone altar which sits in front of east window. It is likely it was restored at some point in the past by the office of public works (ibid., 336). There is also a local traditionally that mass was said here in penal times . The second church is larger in size and it functioned as the parish church in late medieval times. Today it is situated within a historic graveyard filled with 18th and 19th century gravestones. The church consist of a nave and chancel. 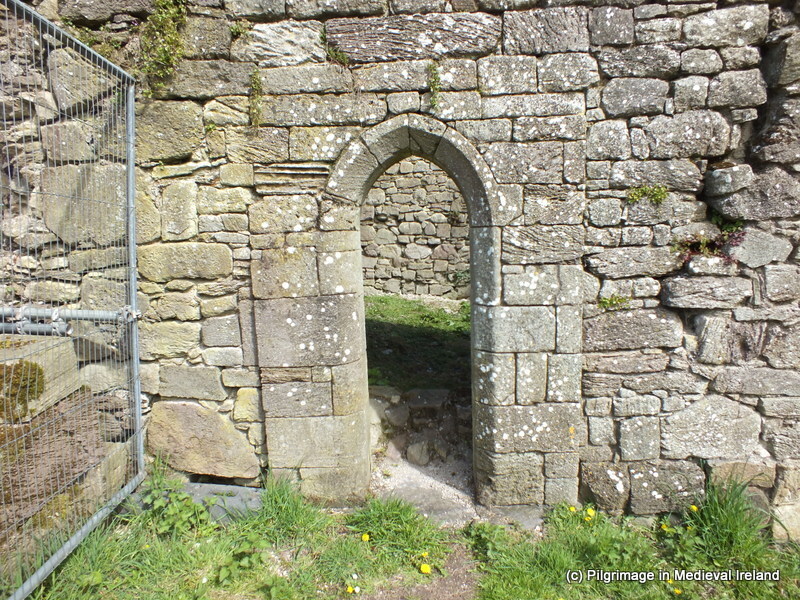 The nave appears to be Romanesque c. 12th century in date and the west wall has traces of a roll-moulded jambs in the lower course of the door. The nave is a later addition and dates to the 13th century. The east gable of the nave has a piece of Romanesque sculpture in the form of a finely carved rosette. Similar rosettes stone in England date 12thc century. This stone was probably re-used from an earlier church here. 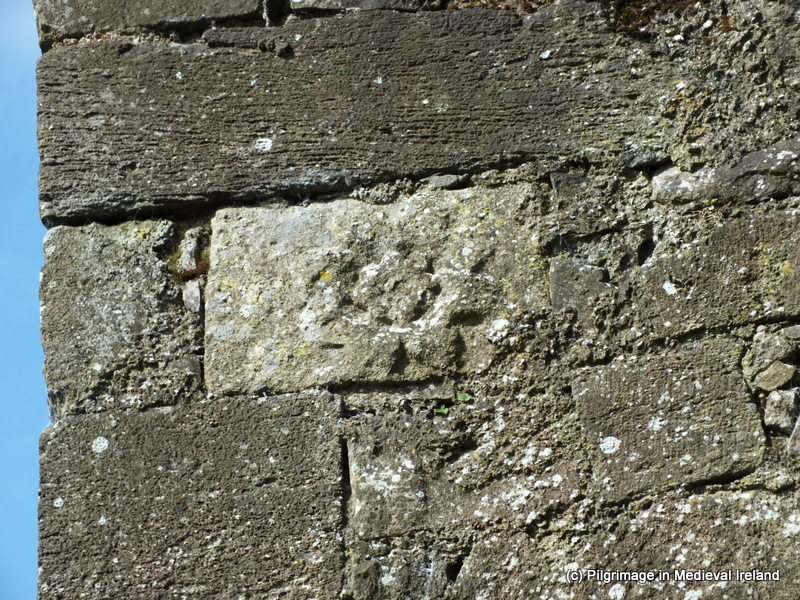 A similar type stone is found c. 20 miles away at another small monastic site at Kilmolash in Co Waterford. A large well carved pointed arch, which appears to be a later insertion, joins the nave and chancel. The chancel is later then the nave and was added in the late medieval period (Ó Carragáin 2010, 307). Records dating to 1615 state the church’s nave was ruinous but the chancel was in repair. The building ( chancel) was in use until the 18th century when it was finally abandoned. Waters (1927, 53) writing in 1927 mentions that a relic of Saint Patrick’s tooth was kept here but he does not say where he came across this information and I cant find any reference to this relic in the Lives of Abbán etc or in antiquarian books relating to Cork. If there was a relic of St Patrick’s tooth here it is likely to have come here in the later medieval, as Patrician links in Munster for the early medieval period are minimal or its equally possible it is folklore that developed around the site in the post medieval period. These are just some initial thoughts and I will delve into this more deeply in the coming weeks and keep you posted on what I find out. Below the church is a lovely holy well. There is little information about the well but it is still in use as a number of statues and votive offerings sit on top of the small corbelled well house that covers the well. The information plaque at the sites connects the well to St Devlet and suggests this is an Anglicisation of St Dalbach. The plaque gives the following folk tale of the origin for the well. Long ago the blessed well at Coole was just a spring. A female inhabitant of Coole Abbey House was reputed to have seen a monk praying at this spring and she ordered an oratory to be built over it. It also states that the waters here hold a cure for sore eyes and warts but one has to visit the well and ‘pray at each of the seven kneeling stones exposed around the outside of the well chamber’. Id love to hear from anyone who knows more about the well and the traditions associated with it. If anyone does have any information you can email me at pilgirmagemedievalireland@gmail.com. Thanks to Terry O’Hagan the author of the blog Vox Hibernionacum for discussing the cult of St Patrick in Munster, but any omissions or misunderstandings are my own. Ó Carragáin, T. 2010. Churches in Early Medieval: Architectural, Ritual and Memory. Yale Press. O’Keeffe, T. 2003. Architecture and Ideology in the Twelfth Century Romanesque Ireland Dublin: Four Courts press. O’Keeffe, T 1994 “Lismore and Cashel: Reflections on the Beginnings of Romanesque Architecture in Munster “JRSAI 124, 1 18-52. Ó Riain, P. 2011. A Dictionary of Irish Saints. Dublin: Four Courts Press. Power, Rev. P 1919. 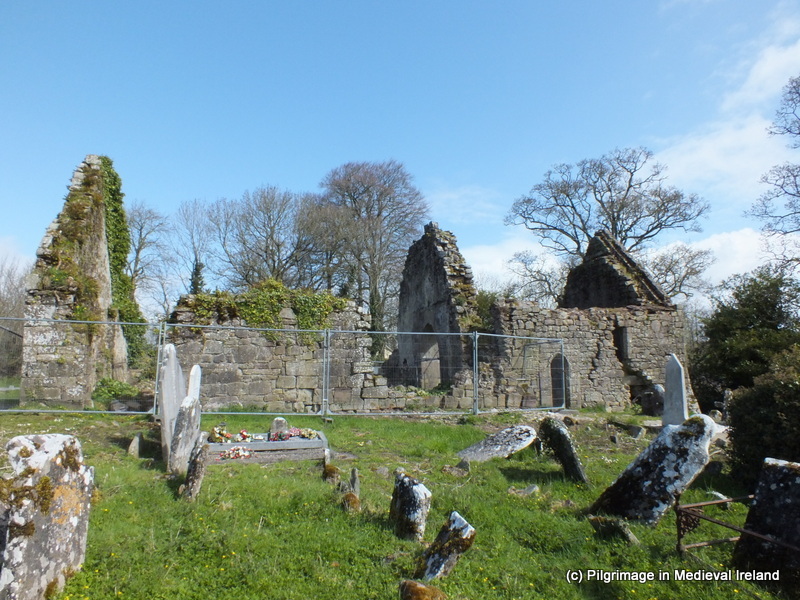 ‘The Churches of Coole County Cork’ JRSAI Vol.1 , 47-54. 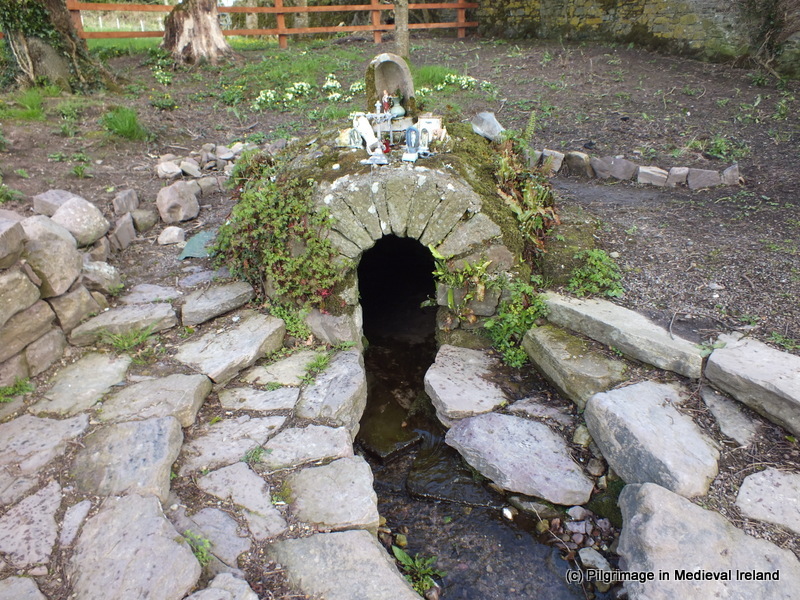 This entry was posted in Holy Well, Medieval Church, Medieval Monastic Site, Medieval Pilgrimage, Uncategorized and tagged Coole Abbey, Coole Holy Well, St Aban in Cork, St Devlets well. ← Pilgrimage to St John’s well at Mushera Mountain Co Cork.